Before I begin, I need to let you know three things with regards to this tour: Firstly, Highland Park is my favourite Single Malt, period. Two, this distillery tour was the first I had ever taken. And three, it was not the easiest place to which to travel. Highland Park is a scotch whisky distillery in Kirkwall, on the isle of Orkney, which is roughly 250 miles from the Scottish capital of Edinburgh. In order to get to Kirkwall, you have two choices, a very long drive followed by a short ferry ride, or a one hour flight on a small commuter aircraft. I chose the latter, as time was a factor, and I have never had a fear of flying, until then anyway. Departing from Edinburgh airport in the early hours of September 28th 2012 was uneventful as an any other flight on which I have travelled, it was the arrival into Kirkwall roughly 75 minutes later that had me slightly concerned. For anyone who knows me, I regularly take flights across the Atlantic, and never once have I been full of concern, but nothing could have prepared me for the landing our flight had this morning. As Orkney came into view, I could feel the plane moving from side to side as the pilot made his final approach, yet with the strong northern gales, the plane bobbed from side to side and upwards and downwards as we came into land, and the fact that the plane landed on one set of rear wheels before the other had me a little concerned, but within seconds the plane had come to a stop, and I was ready for a drink. Well, for that I was in the best possible place. 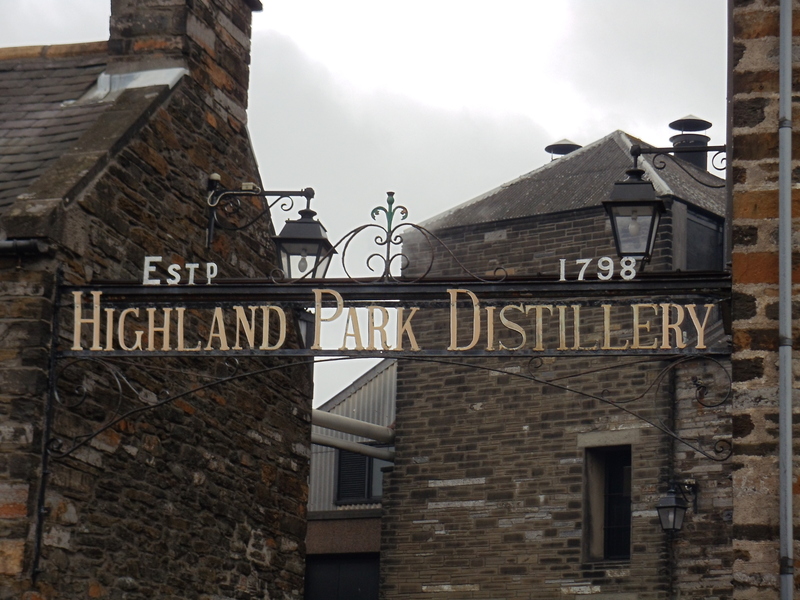 As I mentioned above, Highland Park is my favourite Single Malt, and this too was my first distillery tour. Having just stepped off the plane, I was greeted by a member of the Highland Park staff who had come to the airport to transport me towards to the distillery. When I booked the tour a couple of months ahead of time, I was told that their top tour provided transport to and from the airport , and this instantly became a selling point. I booked the tour, known as the Magnus Eunson tour, which also provided some other benefits I was to learn about later in the day. At the distillery I met a good friend, Aussie Tom, who happened to be in the area on business, and he graciously provided me company on the tour. The tour began in the visitors centre, where we watched a small film on the history of Orkney, the history of Highland Park, and some of the accolades the distillery had recently been awarded. The film ended with the simple phrase “The best spirit in the world.”, an award bestowed upon them in 2005. Now it was time for the actual tour, and to see from where my favourite libation was born. 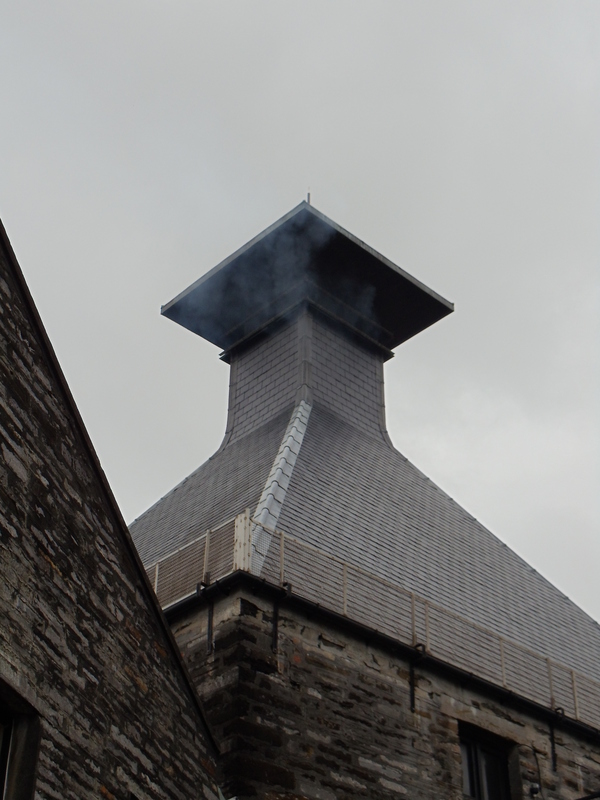 Our guided tour began with the malting floors – a practice only used by a handful of distilleries today – and given the chance, I jumped into the drying malt and turned it by hand. The tour then made it’s way to drying ovens, and I had a photo taken with me warming my hands by the open fire. After walking across the courtyard, we made our way into the still house, and had a first hand glimpse of the Highland Park stills. The final part of the tour took place in an old stone warehouse, where most of the rarest and precious whiskies lay in casks to mature. The smell of that warehouse is a scent I will never forget, as it simply fills your nose with the sweet smell of whisky as it escapes the cask. With the actual tour of the distillery finished, we were off to the best part, the tasting room. As I said earlier, there were benefits to booking their Magnus Eunson tour, and here they were. Instead of having a small dram of the “ordinary” Highland Park 12 Year Old, we were given seven different whiskies , ranging from limited releases, to aged whiskies as rare as Highland Park 40 Years Old. The tasting began with two cask strength whiskies, Hjarta and Saint Magnus, both of which were well over 55% alc/vol. Then we moved onto the core expressions of the range: 15, 18, 25, 30, and 40 Year Old. As we savoured each dram, I couldn’t help but be anxious to try a whisky that had been sitting in cask well before I was born, and well before my parents had even met. I was not disappointed. Now I will never be the type of drinker that can distinguish scents and flavours and use them to describe a certain drink, but this was just one word, glorious. It was so smooth and warming, and I’m certainly glad I had the chance to try it, because I don’t see myself having the money to buy such a magnificent bottle. The afternoon finished with us being dropped off by the waterfront in Kirkwall so we could experience authentic Scottish Fish and Chips, before being whisked back to the airport for our evening flight home. So that’s it, my first review on my first distillery tour. I would wholeheartedly recommend this tour to anyone who is a lover of Single Malt, or to someone who isn’t but is visiting Orkney, it’s a must see for sure. I have to give it five stars, it was everything I expected, and so much more. The flight in was a little bumpy, but to be fair, I can’t say I remember much about the flight home.